Our model is 6' and wears a 38R Coat. 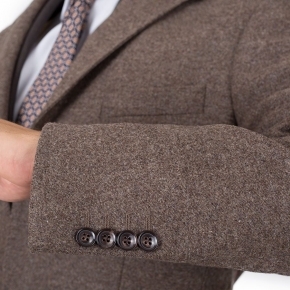 If you need any alterations, we'll cover up to $50 per coat - just email us the receipt. 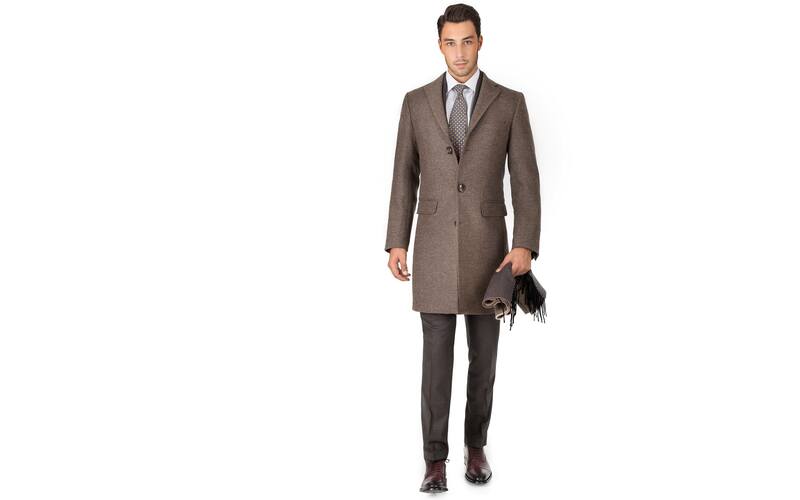 A true classic, the light brown coat in a 95% wool & 5% cashmere blend by Bottoli feels light & soft. The coat will serve you well on cold autumn & winter days - the fabric is substantial, with a weight of 18 oz. - Italian wool-cashmere by Bottoli. Size up for a comfortable fit over a jacket. Order your usual size for a slim fit without a jacket. Extremely speedy delivery, very helpful staff. I was recommended the size based on my measurements, and the fit is perfect, best fitting coat in my wardrobe. And it instantly became my favorite coat. Great fit right out of the box. Timeless look and feel. I want to purchase another colour now.